A backup tool is useful during unexpected system loss or error. You can use it to recover data or restore your files completely. Back In Time takes snapshots of directories and provides you with backup copies. The snapshots can be scheduled on predefined directories. It works great with KDE and GNOME. The software is similar to TimeVault in terms of concept. 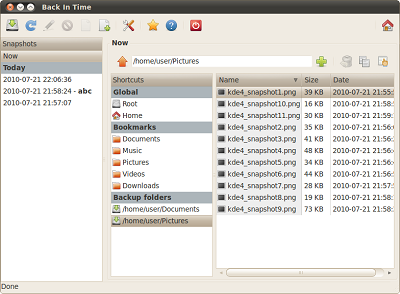 Pros: Simple user interface, works with KDE and GNOME, allows scheduling of backup snapshots. Cons: Doesn’t include an automated restore feature, works as a desktop-only tool. As a client-server backup program, the Afbackup software is perfect for workstations that need to backup their central server. It can generate and maintain archives from a backup server. The software generates a backup file from the central system simultaneously or serially either through tapes or through file systems. Backing up the central system can also be started remotely from a different server. Pros: Can start backing up files remotely from the server, hosted in client/server system, supports multi-stream server. Cons: User interface designed for advanced programmers. Backup PC is a disk-based backup system recovery tool. It has an Apache/CGI user interface and can pool identical files. Its enterprise-grade system is fully configurable and easy to install. The software is written in Perl and it generates backup data by using Samba, tar or rsync. Pros: Fully configurable, easy to install, disk-based, built in Apache/CGI user interface. Cons: Confusing to configure at first. 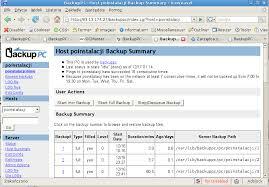 Simple Backup Solution is also known as Sbackup. It is a desktop backup tool that can easily backup files and directories. It basically uses compressed archives to store backup files. It also supports predefined backups, manual backups, custom backups and scheduled backups. Pros: Predefined and scheduled backups supported, simple user interface. Cons: Doesn’t work well with pre-compressed data, doesn’t include a restore solution. Kbackup uses afio or tar in backing up files as archives. It can also compress archives using gzip. It is plain and simple to use as the software is centered in creating backup files and directories only. In restoring backup files, the software uses tar format to unpack zipped archives. Pros: Simple user interface, can compress archives, can restore backup files, supports removable media and tapes. 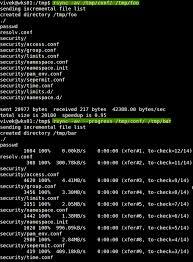 Rsync has been famous for incremental backups that can be done remotely or locally. It’s basically a command-line tool so you can freely create your own scripts to facilitate automated backups. 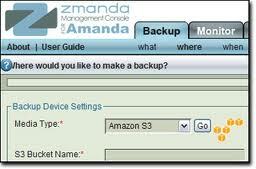 It is great for advanced users as you can have full control over how you want to backup your files. Pros: Command-line tool, allows modified scripts for backups. Cons: Confusing user interface not ideal for beginners. Box Backup is one of the few secured backup software for Linux. It uses encryption in securing backup files and SSL certificates in authenticating clients. The software works on three components – the client daemon, the server daemon and the restore utility. Pros: Uses encryption in backups, comes with restore tool. 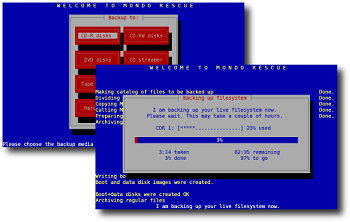 Mondorescue is a powerful backup program for Linux. It can backup files to any medium like CD, DVD, tape, hard disk, NFS and many more. It can also support lots of file system like ext2, ext3, ext4, LVM ½ and RAID. For file systems not supported by the software, there is an option where you can contact the software’s developers to customize it for your needs. Pros: Supports lots of file systems, can backup full installation system, backup files can be transferred to almost any medium. Cons: Handling dynamic memory allocation in mondo C code is currently on test mode only. Amanda is a flexible backup program for Linux. It can backup multiple hosts at the same time. During the backup process, the software uses Linux GNU tar and dump to speed up the entire process. It can also backup a huge number of servers and workstations that run different versions of Linux. Pros: Can backup multiple servers and workstations, easy to install. 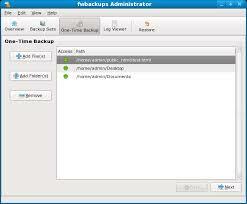 Fwbackups has several backup engines like incremental and compression backups. It supports backing up files from a remote host through SSH or SFTP. Overall, its feature-rich program has a simple user interface and there are many ways of backing up files supported by the software. 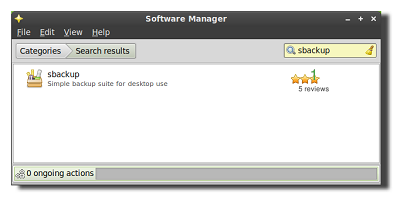 Pros: Rich in features, simple user interface, supports many ways of backing up files. When choosing a backup program for your Linux, just always remember to check where the backup files will be hosted. Are you comfortable restoring backup files from an online server or from an external device like discs? By answering this question, you will have clear options in choosing the right backup software for your computer. Whose people are like to use Linux technology i think they will be happy to see the post. Actually these are good software what you share in here and i think it helped us to get more facilities from here.